Keeping an aquarium at home, as a hobby, is highly satisfying as it is rewarding. The inhabitants within those four corners gradually become a part of the family. Children tend to name the fish and even the corals inside the aquarium. The Aquarium Hobby dates back to ancient times when Romans maintained marine specimens for later consumption. Since then, it has grown popular and developed gradually and, more recently in light of the last 30 years, it has come a long way. It is extremely relaxing to watch the fish and corals in their natural habitat. It also serves a greater cause in preserving these fish for the future by breeding different types of compatible fish in one aquarium and, at the same time, propagating corals by maintaining multiple aquariums. SALTWATER AQUARIUM – This mainly includes tropical fish from the ocean and/or corals. However, it is costlier. FRESHWATER AQUARIUM – This is an excellent choice to begin with as it varies greatly in terms of set-ups and is very reasonable to purchase. BRACKISH AQUARIUM – These are a mixture of salt and freshwater aquariums and quite rare. These welcome fish that live in estuaries. Prior to purchasing the preferred aquarium one must get hold of a helpful reference book for setting it up properly. This nullifies any odd frustration that is imminent for beginners. After that, one must gather knowledge about the fish and/or plants they want to have. Judging the largest size of a selected fish is key to maintaining harmony within the aquarium. Food must also be supplied heartily and consistently. There are some fish who prefer to live only on corals. They are difficult to maintain as the availability of corals is not sufficient enough to keep feeding them. Also, the fish must be compatible to each other and should not have difficulty living together. The water of the aquarium must also be tested by the supplier in order to avoid harming any fish otherwise incompatible. All these points kept in mind, and responsibilities aside, it is quite evident that home aquariums ensure countless hours of enjoyment for the entire family especially for the children as they tend to be the most curious. The more we know about these little creatures, the more we start enjoying their presence in the family. 1.”Small tanks are ideal for beginners” is a largely- held belief. On the contrary ,it is always advisable to buy at least a 20-gallon(90liters) tank if one can afford it and has enough space. A large tank is more stable in terms of temperature and water chemistry . 2.Keep a check on the requirements and compatibility of the species with its environment before buying it. 3.Keep an aye out for split fins,damaged gills and other indications of a diseased fish before buying. 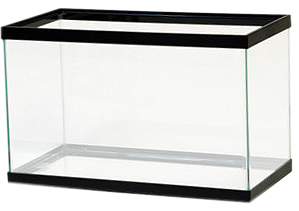 4.A fish should be put into its new tank/surrounding gradually. Float the bag for at least 15 min to equalise temperature . 5.Tap water should not be used to wash filter sponges and other “biological” media. Wash them with the used tank water to avoid killing beneficial bacteria that grow on the filter sponges. 6.A minimum of 25 per cent water change per month is the basic requirement but then changing the water every second week is even better. 7.Always feed fish small quantities of food and watch them gulp it down before adding more. Do not be tempted to overfeed because the fish “look hungry” . Feeding twice a day is sufficient. 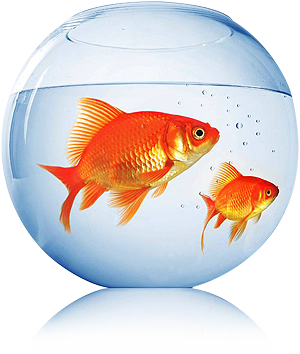 8.Use a quarantine tank (a separate tank to acclimatise a new fish to the environment ) wherever possible. 9.Build your school of fish slowly to give the bacteria population time to increase to match the additional waste load. 10.Under stocking is always better than overstocking . Even though 1” per gallon is often used as a general guideline, it doesn’t mean that one can put a 10” fish in a 10 gallon tank! The tank population will remain healthy only when understocked.